I forgot to mention that our first experience while in Addis Ababa was Sunday, October 16. 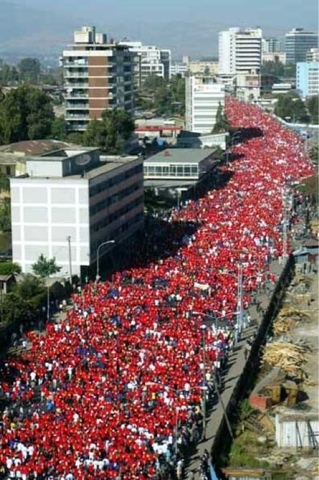 We had to walk about five blocks to our car in the morning because the streets were closed for the Great Ethiopian Run. I was delighted, and it was the only time during our whole trip that we got to walk anywhere.